Riding on a high wave of momentum because of the two new successful products, Ford India recorded a sustained domestic and export growth of 15 percent in the December month’s vehicles sales. 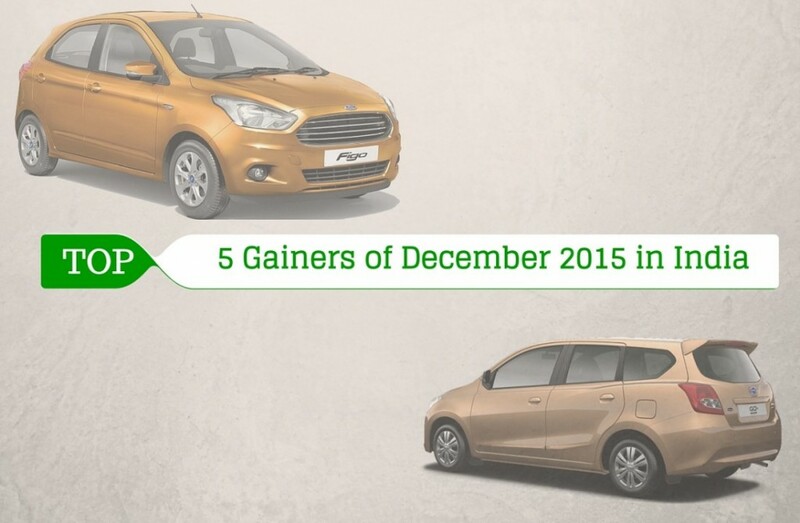 Despite hindered of production due to the Chennai floods, its newly launched Ford Figo hatchback endured a phenomenal surge of 1351% compared to a year ago by selling 2,191 units last month to sit as the leader on the Top 5 Gainers of December 2015 chart. 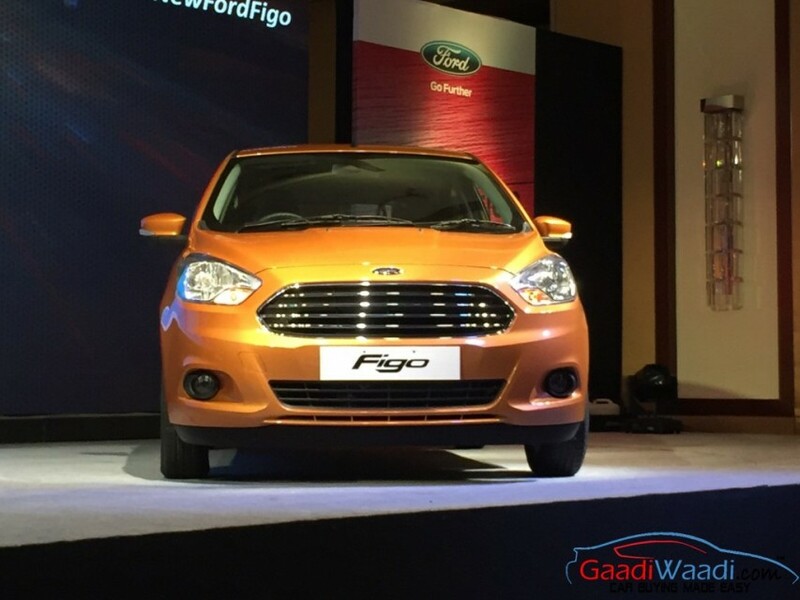 The last generation Figo was ditched in favour of a promising successor in September 2015 at a starting base price of Rs. 4.29 lakh and Rs. 7.90lakh(ex-showroom, Delhi) for the top-end Titanium model. Its design and engine options have largely been borrowed from its sub-compact sedan sibling, the Figo Aspire, which reportedly registered 15,000 units of sales until November since being made available to the public last August. Skoda Octavia has come in at second after having witnessed a 248 percent growth in comparison to the same month the previous year. 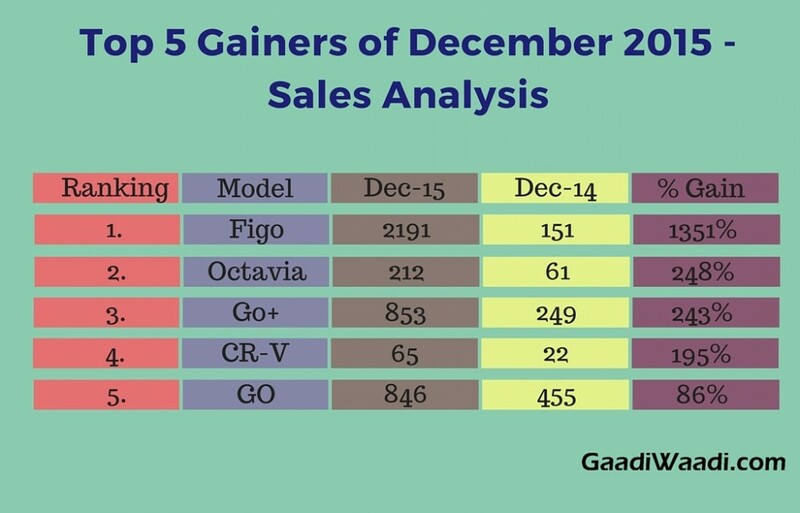 About 212 units of Octavia have been retailed by Skoda in December 2015 as against 61 examples. The percentage outgrowth doesn’t cut the mustard as main competitor Toyota Corolla Altis has been doing much better numbers but Octavia have weaved past other rivals like Hyundai Elantra and Chevrolet Cruze in its segment. lakh for the base variant whilst the top-end model is offered at only Rs. 4.61 lakh(ex-showroom, Delhi). The first-ever sub-compact MPV delivers an impressive claimed fuel economy of 20.62kmpl from the 1.2-litre petrol that does duty on the GO hatchback. The GO+ averaged a sales of over 900 units per month in 2015. Honda CR-V has been positioned fourth with a 195 percent growth but with the numbers it was sold you can spot the irrelevancy of the development. Only 65 examples found new customers in December 2015 as opposed to 22 in the same time the previous year. The Datsun GO hatchback put on a steady stand throughout the 2015 year by averaging around 700 units and concluded with a 86% surge, as the Japanese brand sold 846 units in comparison to 455 during the same period a year ago to complete the gainers table. 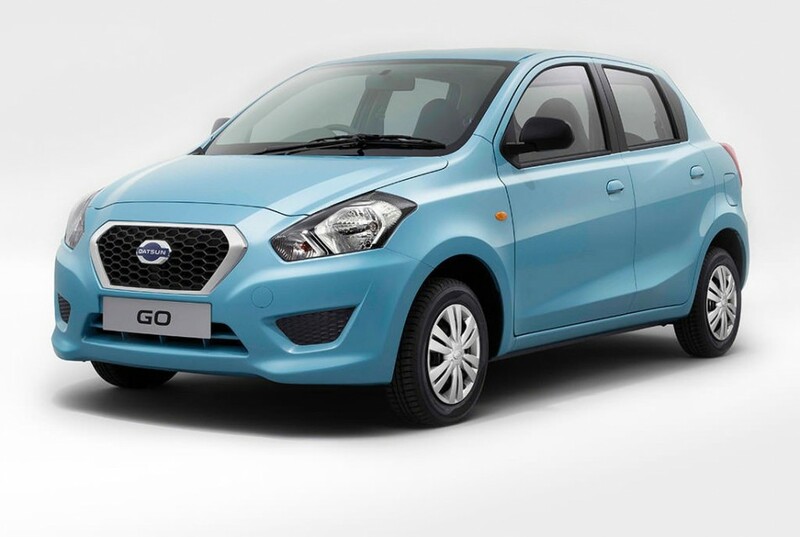 The revived manufacturer will showcase the GO-Cross concept at the Auto Expo next month whilst the revealing of a production-ready Redi-GO vehicle is also expected at the exhibition.